Chrysler is recalling 1.4 million vehicles that can be remotely hacked over the Internet. A flaw in several Chrysler models lets hackers remotely control them, posing an unprecedented danger for American drivers. Hackers can cut the brakes, shut down the engine, drive it off the road, or make all the electronics go haywire. After the vulnerability was uncovered on Tuesday, Chrysler offered a software upgrade that it recommended customers install "at their earliest convenience." Chrysler on Thursday upgraded its network, saying the update would prevent the remote hacking from taking place. It said that its update required no action on the part of customers and dealers. Still under intense scrutiny, Chrysler opted to issue a formal recall on Friday to fix the vehicles themselves. Customers participating in the recall will receive a USB flash drive, which they can insert into their cars and upgrade their vehicles' software. But Chrysler said Friday that the recall provides unspecified "additional security features independent of the network-level measures." Chrysler said it is unaware of any accidents, injuries, warranty claims or complaints related to the software bug, other than a single incident reported by Wired on Tuesday. Researchers Charlie Miller and Chris Valasek demonstrated the vulnerability by taking remote control of a Jeep. The scope of the vulnerability -- the fact that it impacted several models of Chryslers -- was reported by CNNMoney on Tuesday. On Friday, the stock value of Fiat Chrysler Automobiles (FCAU) dropped more than 2%. There was also an 8% drop in the stock value of Sprint (S), whose cellular network allows Chryslers to connect to the Internet. 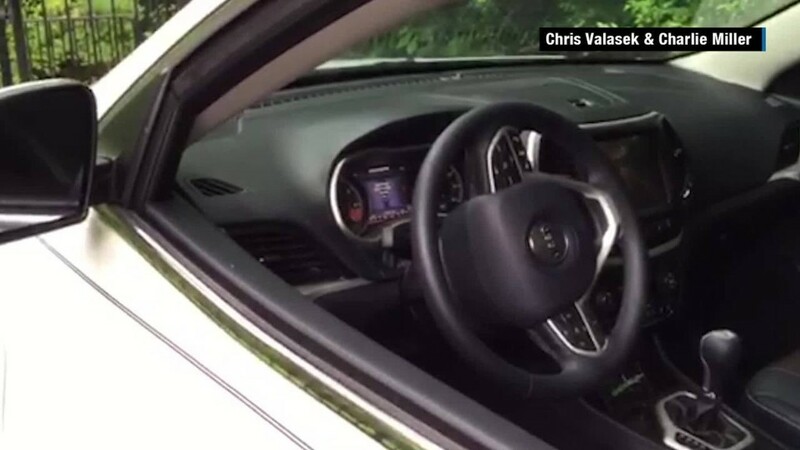 Chrysler notes that the unauthorized remote hacking of a car "constitutes criminal action." CNN's Jose Pagliery contributed to this report.